I've been obsessed with Gmarket Singapore lately. I had originally planned to order stuff (bags and apparels) from Gmarket Korea instead. I was in a mess, trying to figure out Gmarket Korea's site since everything was in Korean. Before I ordered, I dropped by Gmarket Singapore's site and actually found the exact listing with the same bags and apparels and they were having some form of sale. xD Decided to cancel the plan and just order from Gmarket Singapore directly. I've been hooked onto the site since then. I really wanted either a white or beige pink eyeliner for brightening my lower lashline so I bought this Holika Holika Jewel-light Waterproof Eyeliner in 08 Pink Topaz. They also have a white one for lining the lower lashline but I was really drawn to the pink. 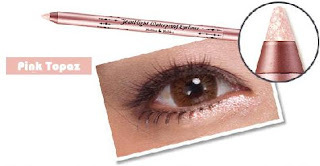 The Holika Holika Jewel-light Waterproof Eyeliner is actually soft and glides on skin beautifully. It is light pink with many tiny sparkly glitters in it. The top swatch shows the base colour is close to my skintone. To be honest, I can't really tell whether the base colour is a straight pink or slightly peachy pink shade since there's so much glitters. 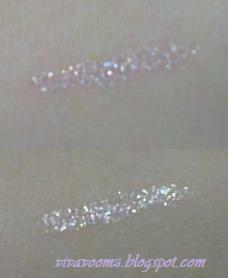 The bottom swatch shows the glittery effect when light hits the eyeliner. The tiny glitters sparkles like diamonds. On the hand, the eyeliner rubs off easily if you rub immediately but it doesn't budge once it sets. But I probably need to test it longer to see if it's really waterproof or whether it smudges on oily eyelids. I used this on my lower lash line and inner corners and really love how my eyes look after it. It really makes my eyes look much brighter like the first picture. Love it. Would totally recommend this since it's cheap and mad gorgeous. 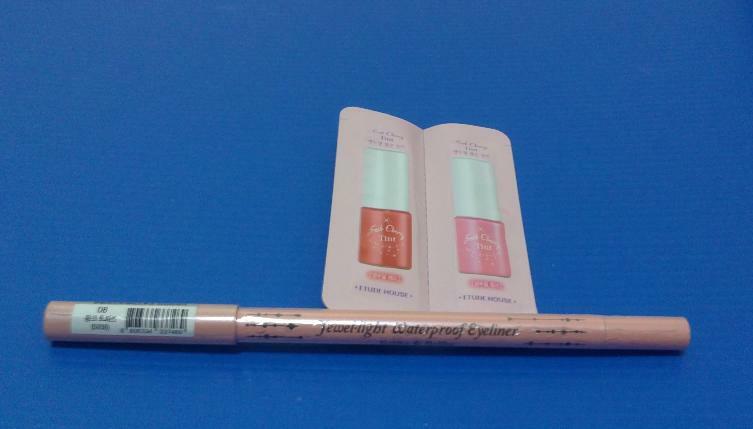 Bought this eyeliner for around SGD$5 from this Gmarket seller in an older listing. I snatched up the last few remaining eyeliners in the previous listing when there's a further slash of price so that's probably why it's gone. lol. You can also get it from this other Gmarket seller.